Clothing has always been handmade. In Earlier days men used to get their clothes done from Gents Bespoke tailor .The industrial revolution and technological innovation lead to the advent of ready to wear clothing, which completely changed the whole face of garments industry. There are two things that are required to make a piece of clothing ready to wear first the standardized size and finished to be worn. In earlier days ready to wear trend started with men’s coat and jacket. The ready to wear revolution was quite beneficial at this time but it has its own pros and cons. The factory produced clothes were ill fitted as there were not meant for any specific sizes. The fabric used in such production was quite cheap. This affected the quality of clothes produced. Above all, there was no uniqueness in the clothes produced. Men expect that clothes that they buy from stores to fit them perfectly. If the clothes don’t fit them, they start blaming their bodies thinking that they might have gained weight or something is wrong with their body sizes. The reality is that it is quite a difficult task for clothing designers to produce clothing for all body shapes and sizes. It is the tendency of men to compare themselves with every other men on the street and especially in any event. In this era where presentation is quite important investing in tailored fitted clothes should be a priority. Men should feel good in his style and in the clotheshe is wearing. 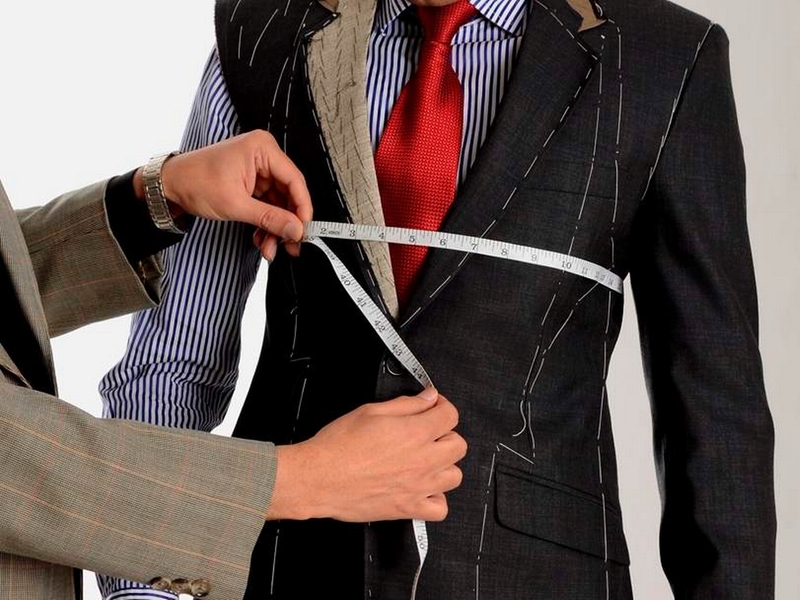 Bespoke should not be confused with made to measure. Made to measure is menswear produced to order from an adjusted block pattern. Usually a paper pattern is not built, rather pieces that match those needed are collected and assembled. It is differentiated from bespoke in that men who choose to buy made to measure have some, but not all control over the process. The company’s origins are rooted in creating bespoke formals, we have developed a reputation for elegant, timeless tailoring across all aspects of the modern gentleman’s wardrobe.